Don't change your stroke. Change your putter. PING’s Fit for Stroke putter-ﬁtting concept will improve your consistency on the greens by matching you with a model that is balanced to ﬁt your stroke type. Every model is either face-balanced for a straight stroke, mid-hang for a slight arc, or toe down for a strong arc. To help you identify putters that ﬁt you, every current PING model has a coloured shaft label: green for slight arc, blue for straight and red for strong arc. Forward stroke rotation of 3.5° to 7.5°. In our tests, the majority of golfers fall into the slight-arc camp, where the closing angle on your forward stroke is moderate and between 3.5 and 7.5 degrees. Your stroke will beneﬁt most from mid-hang putters, which are identiﬁed by a green shaft label. Forward stroke rotation of 3.5° or less. If you take the putter back and through on a relatively straight path, your closing angle on the forward stroke is 3.5 degrees or less. According to our studies, you’ll putt most consistently with face-balanced models. 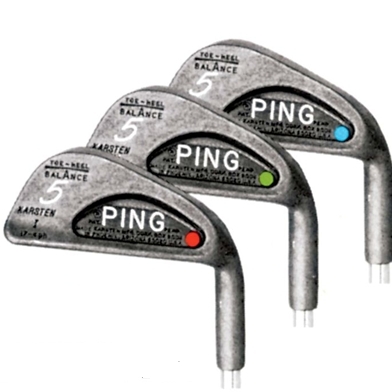 Look for PING models with a blue shaft label. Forward stroke rotation of 7.5° or more. 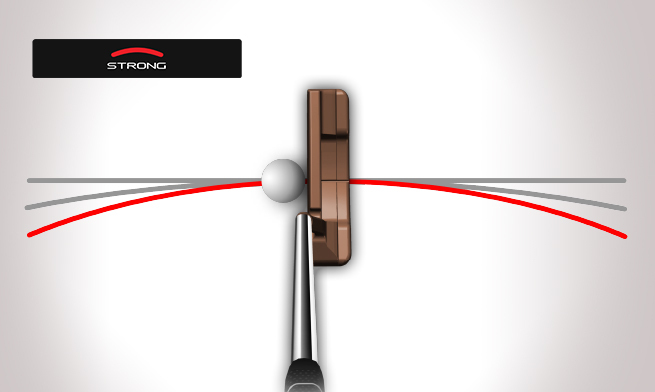 If your putter travels further to the inside going back and through, you have a strong arc. When the closing angle on your forward stroke is 7.5 degrees or more, a toe-down model will give you the most consistency. You’re looking for PING putters with a red shaft label. PING introduces the Color Coding System. This system distinguishes the lie angle of the club with a colored dot in the cavity. Golfers quickly see how having the right lie angle helps their game and begin to identify themselves with their particular color code.